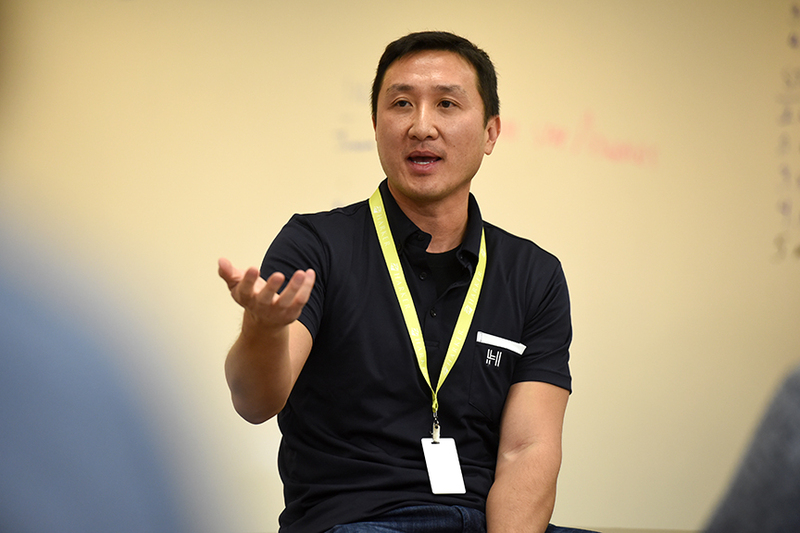 In late November, CareerConnect was excited to have Kai Huang, the co-founder of Guitar Hero, speak about starting a company, succeeding in it and becoming an angel investor. Huang began by discussing his experience in college, and how he changed his major to something he never expected he would enjoy, which later helped his future companies succeed. He talked about starting RedOctane, the company that founded Guitar Hero, with his brother, and discussed the origin of the idea for the company. He also talked about expanding the company to include other services, such as dance pads, and eventually the Guitar Hero program. Huang also shared the various challenges of beginning a startup, such as figuring out how to maintain and expand revenue, and financial troubles startups may encounter. He mentioned that while creating the game, the company struggled to keep from going bankrupt a few times. Once the game was released, it became an instant hit with sales going up every year; in the fourth year after the game was released, it made over $1 billion in sales. It was inspiring to hear Huang discuss his hardships honestly, as well as share how his hard work paid off. He also discussed his current career pursuits as an angel investor and gave students a brief insight into some of the companies in which he has invested, such as Manticore Games, an electric bike company. He ended the talk with a Q&A session about Guitar Hero and his experience in the gaming industry, as well as what aspects of his investment portfolio he finds compelling. Overall, the talk was a great success. Students were able to learn some valuable lessons about how to start a company, and also were exposed to potential struggles that they may have to deal with as future entrepreneurs while starting a company.